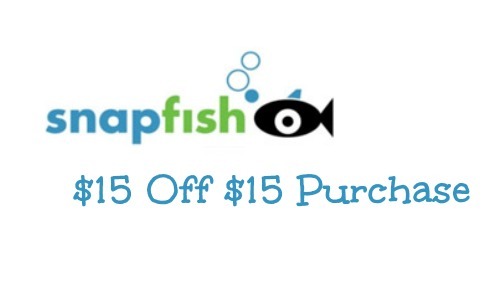 Here’s a great Snapfish coupon that you can use to get $15 off any $15+ purchase! Just use the code SUNNY to get your discount. If you’re planning on getting photo items for Mother’s Day or Easter this is a great way to get some FREE items from Snapfish. Please note that this coupon cannot be used on prints, premier photo books, 3D printed products, and gift certificates (check out the coupon page for more exclusions). This offer ends 3/31. What photo items will you get this spring?